No matter how many weird rituals or blood sacrifices Junior Nation has done to prevent the retirement of NASCAR’s favorite son Dale Earnhardt Jr. at the end of the season, it’s happening. And as of Wednesday, his replacement is officially lined up: 24-year-old Alex Bowman will drive the No. 88 car in 2018. You might not know much about Bowman, considering that his last full-time season in the top-level Monster Energy NASCAR Cup Series was 2015. Bowman, a driver who’s competed mostly for underfunded teams during his Cup career, raced 35 of 36 races that year after failing to qualify for the Daytona 500. He’s made one start across all of NASCAR’s top-three series this year, according to Racing Reference, which was a Camping World Truck Series race in Atlanta. But 2018 won’t be his first time in the No. 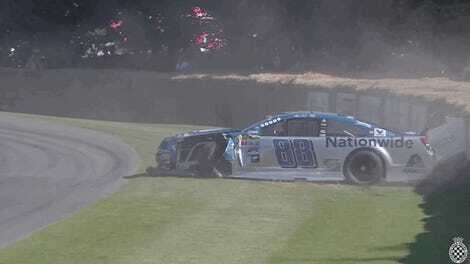 88 car. 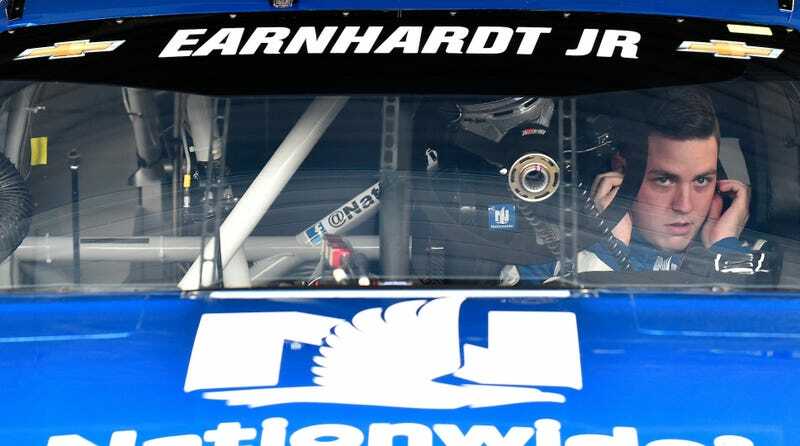 Bowman shared the seat with semi-retired NASCAR substitute Jeff Gordon while Earnhardt was out with a concussion in 2016, competing in 10 races with both a best finish of sixth and a pole position at Phoenix International Raceway. The only thing that’ll really look different on the car in 2017 will be the name across the windshield, since Earnhardt’s current Cup sponsors, Nationwide and Axalta, are hanging around for 2018. The announcement about Bowman taking over the car didn’t mention anything further than 2018, which sounds like the deal Formula One driver Valtteri Bottas had at Mercedes after 2016 champion Nico Rosberg’s surprise retirement—but hey, that isn’t going too badly for him. Best of luck to him. Wake me up when we learn how to time travel and I can keep reliving the Junior era for the rest of my days.